In today’s digital age, our communication is almost entirely reliant on digital devices and services. Do you believe that human touch is still important in an increasingly impersonal world? Fortunately, with Post-it® Super Sticky Notes, we can connect with each other on a human level anytime and anywhere. Flags and Page Markers help us create more creative and personal remarks and references quickly, making it a breeze to find and share thoughts and ideas. 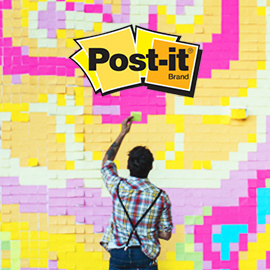 Create an original and engaging video to show students how Post-it® Super Sticky Notes and/or Flags and Page Markers can make a difference in their everyday lives by adding a human touch to creativity and communication.